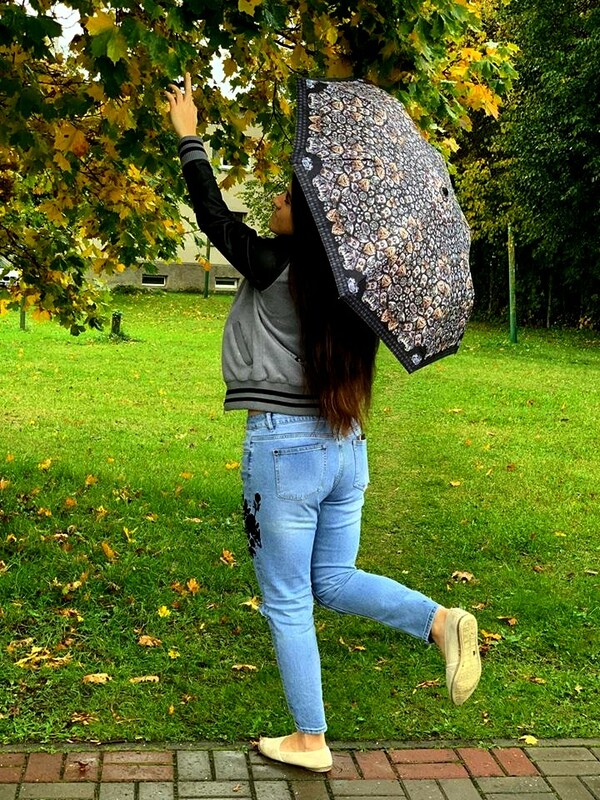 As you know I love fall fashion and the beautiful colourfuls of nature the autumn brings us! Bomber jackets, boyfriend jeans are definitely my favourite items. The ones I`m wearing are both from New Yorker and were super cheap actually. The jeans were only 10 euros and the jacket was 5 euros. Gotta love SALES! Such a beaut look girl! I love fall colors but as it starts getting cold I dislike the cold weather, I am actually not looking further to it, I want summer. 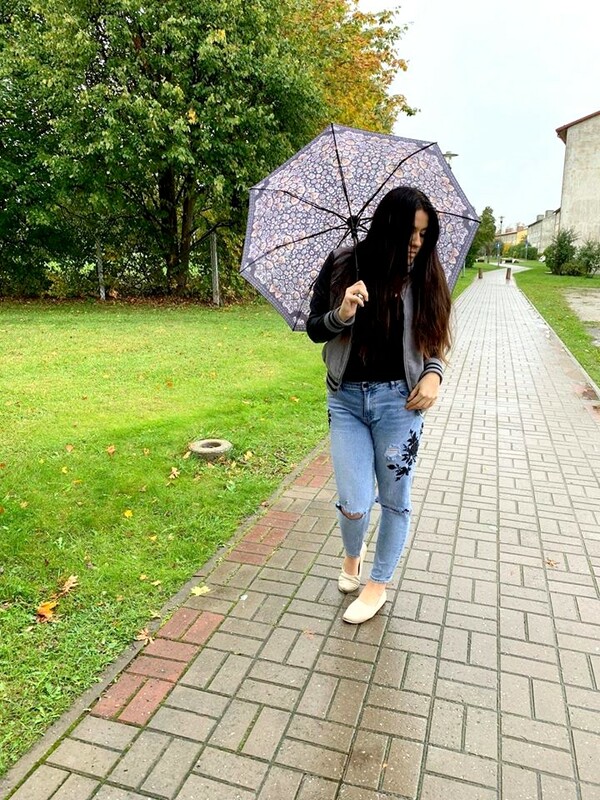 Your denims are perfect for fall! 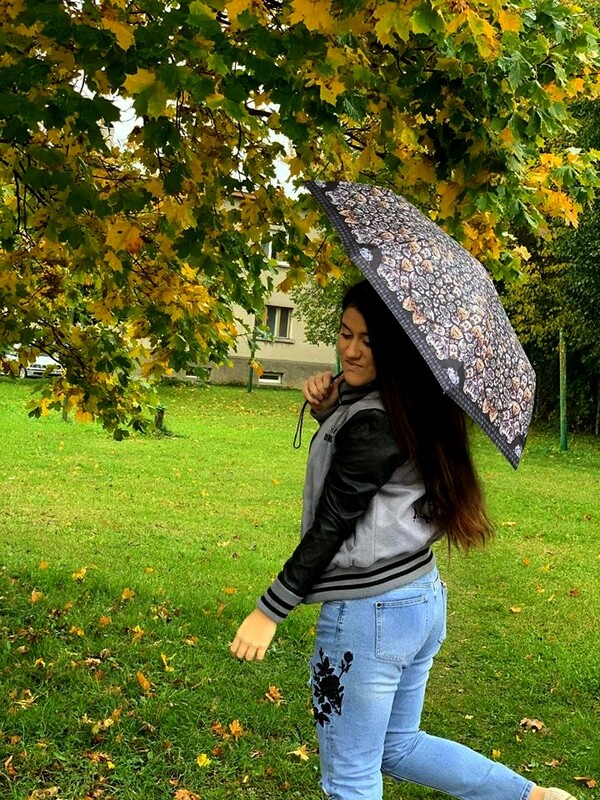 Such a fun umbrella- and your jacket is perfect! 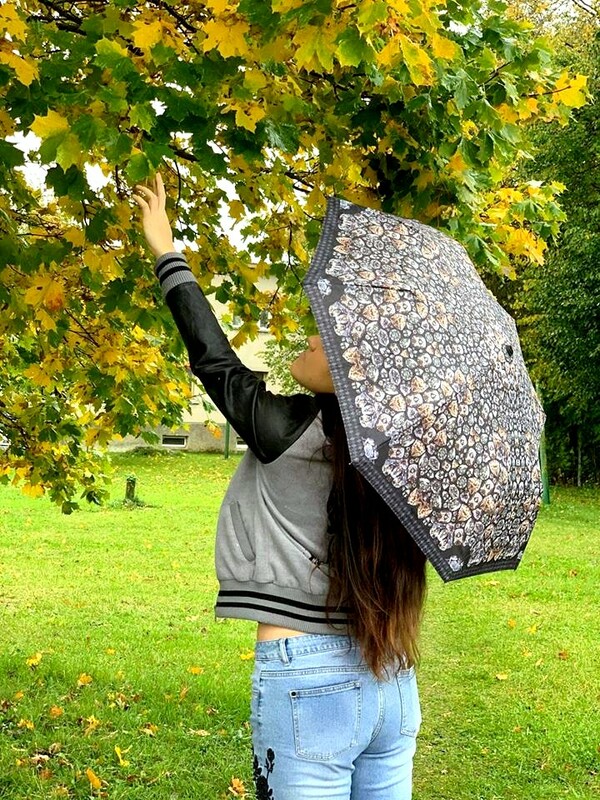 This is such a cute umbrella! Perfect for those rainy days! Your denim looks so cute on you dear. Love the details. Also, cute shots you have here. Thanks You so much dear! 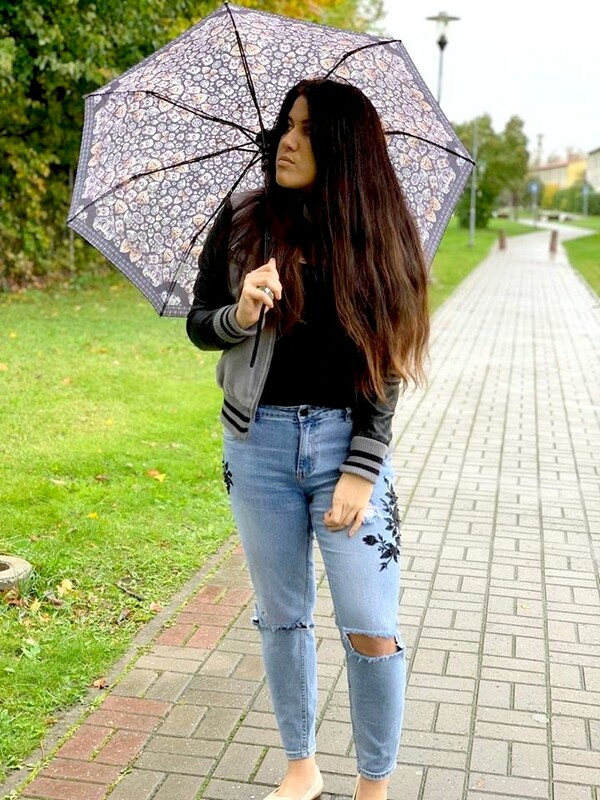 love those jeans...this is a great outfit!